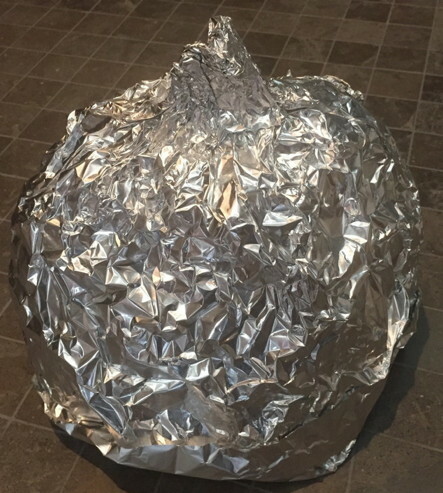 Our tinfoil hat is your guaranteed solution. It will shield you from government control, eliminating your concerns. One size fits all. Expands or contracts to your specifications. Shipped in flattened state, must be opened to fit. Can be molded to your own custom design, limited only by your imagination. 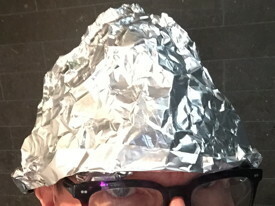 NOTE #1: We call this a “tinfoil hat” because that’s the common term for this protective device. It’s actually made of aluminum foil, yet every bit as effective. 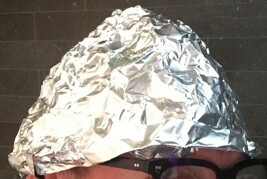 NOTE #2: There is a false rumor that wearing a tinfoil hat serves only to improve reception of government radio-wave thought-control signals. This is an unsubstantiated myth designed to undermine the effectiveness of our product. Our guarantee stands. WARNING: Our tinfoil hat WILL NOT protect you from the truth. It is also ineffective against willful ignorance, tactical stupidity, cognitive bias, and/or pre-existing brainwashing. * Please don’t be outraged and upset that we would try to sell such a worthless product for such an obscene price without first considering the possibility that this is just a joke.